Part 1 of Li Na’s discussion of the contemporary Chinese Public History. Frisch, Michael H. A Shared Authority: Essays on the Craft and Meaning of Oral and Public History. Suny Series in Oral and Public History. Albany: State University of New York Press, 1990. For more on the “Chinese and the Pasts” project, see: Na Li, “Chinese and the Pasts: Exploring Historical Consciousness of Ordinary Chinese – Initial Findings from Chongqing,” in Contemplating Historical Consciousness: Notes from the Field, ed. Anna Clark and Carla Peck (New York: Berghahn Books, 2018), forthcoming. Roy Rosenzweig and David Thelen, The Presence of the Past: Popular Uses of History in American Life (New York: Columbia University Press, 1998); Magne Angvik and Bodo von Borries, Youth and History: A Comparative European Survey on Historical Consciousness and Political Attitudes among Adolescents (Hamburg: Körber-Stiftung, 1997); Paul Ashton and Paula Hamilton, History at the Crossroads: Australians and the Past (Ultimo, NSW: Halstead Press, 2010); Margaret Conrad, Gerald Friesen, Jocelyn Létourneau, D. A. Muise, Peter C. Seixas, David A. Northrup, Kadriye Ercikan, and Pasts Collective (Project), Canadians and Their Pasts (Toronto: University of Toronto Press, 2013). 1. Activities Related to the Past; 2. Trustworthiness of Sources of Information about the Past; 3. How Connected to the Past People Feel on Certain Occasions; 4. The Importance of Various Pasts; 5. Importance of Places or Sites of Public History; 6. Biographical Data. For the full survey, see: https://www.surveymonkey.com/r/ChinesePasts (last accessed on 10 November 2017). The project used interview surveys as the basic methodology. This means that a group of interviewers with a similar background (college-level students) and the same interviewing skills training worked in a certain geographical region—in this case, the major historic sites in the city of Chongqing. The training included learning the project’s goals and aims, establishing familiarity with the questionnaires, practicing interviews both in class and in the field, and participating in workshops for oral history interviews. These workshops included research on the specific sites to add one or two probing questions, interviewing skills (processes, useful advice, and principles), recording techniques, ethical and legal concerns, etc. The textual analysis generates many rich perceptions with intriguing insights, and indicates a genuine effort to make each site meet human standards. The responses we collected demonstrate a critical understanding of how history is interpreted, displayed, and disseminated in a specific place. Chongqing © 林 同 2010 via Flickr. Li, Na: Some Patterns of Making Public History in China (2). In: Public History Weekly 5 (2017) 39, DOI:dx.doi.org/10.1515/phw-2017-10447. Public debates have begun to emerge over the place of the past in China, exploring the role of history in national culture and society, the role of historians and formal history education, and forms of participation in history. In turn, these discussions raise further questions: How should the past be reinterpreted? Who owns the past? How is history produced, disseminated, consumed, and shared in the public sphere? How can China create a historically based national culture in a digital age? The “Chinese and the Pasts” project is designed to better scale the landscape of public history in China. The project takes place in a social context marked by a freer and unprecedented flow of information, creative knowledge sharing, and a growing consumption of history in China’s first fifteen years of the twenty-first century. Drawing upon a series of national and regional survey projects in the United States, certain European countries, Australia, and Canada, the core part of the project breaks into six parts. The most frequently identified activities were found to be taking photographs and videos (including looking at family photographs as a sub-category), watching films (including documentaries) and television programs, and attending family reunions or other gatherings. This hardly came as a surprise, as mass media such as films, videos, and television programs already constitute an integral part in the daily life of ordinary people in China. The results also demonstrate how collective remembrance and personal reminiscence often overlap. For example, personal and family reminiscence are interwoven with nostalgic historical consumption, which is confirmed in the survey results by participants’ active engagement with the past. Overall, public activities, such as taking part in public commemorations and anniversaries, and organizations which seek to preserve the pasts came to be of secondary importance. Archives, museums, historic sites or monuments, and personal or eyewitness accounts were ranked by far the most reliable sources of history. Most respondents expressed that artifacts were more reliable than human interpretations, as people interpret objects differently based on their motives, quality, and background. Family stories were ranked relatively high (61.08%), yet for a different reason: The very familiarity of a family story creates a natural reliability. Here, similar to personal or eye-witnesses accounts, most respondents confused “motives” with “results.” The fact that someone does not have a motive for lying does not mean they actually do not lie, nor that their interpretations are necessarily reliable. Unsurprisingly, politicians and media personalities were ranked lowest. Visiting history museums, historic sites or monuments, and historic districts or cities were ranked highest. The majority of the respondents suggested that taking part in these activities was a direct and authentic historical experience, characterized by a strong sense of participation and the sense of actually being there. These activities also helped people to identity more with historical events, especially through their use of museums built on sites and historic districts with living history, and by reliving historical experiences through reenactments. The past of China and the past of one’s family were both ranked high. In fact, most respondents associated national history with family history. They identified with the nation as one unity, where their individual family was indistinguishable from the nation. Their commentaries were patriotic, possessive, and proud. Such emotional vocabulary, woven into the national fabric, is unsurprising as Chinese people are genuinely proud of their ancient origin and an often quoted “5,000-year history.” Therefore, the Chinese government has both tactfully and successfully inculcated its ideological values in young Chinese minds. The majority of the participants responded positively to the question “Have you visited any place or site of public history in the past twelve months?” To probe further, the survey asked seven generic questions and two additional site-specific questions about people’s impressions of and attitudes towards some of the key places or sites of public history in the city of Chongqing. This part of the project included focused face-to-face oral history interviews in order to generate more insight. Though labor-intensive, this part of the survey turned out to be the most rewarding part of the project. Despite censorship still being largely in place, the public actively, and in some cases highly inventively, consumes the past. Popular interest in intimate pasts and intimate uses of the past—first-hand, experiential, intimate, or familial—prevails. In an expanding public space, history wells up from the lower depth, where memory, heritage, and identity intermingle, and where the past rubs shoulders with the present. This challenges, or seems to challenge, a hierarchical constitution of knowledge that has been taken for granted. Here are some preliminary patterns of public history making in contemporary China: Firstly, material culture constitutes a convincing way of engaging the public. Places or sites of public history are highly valued by people learning about the pasts. These places have an impact on the historical consciousness of ordinary people in a profound and often invigorating way. Secondly, there is a strong push towards personal, family, and local history. Family is a highly cherished place for making and creating history, and it intimately influences people’s sense of the past. Thirdly, the public respects institutional and professional authority. Public history does not contradict professional history. Instead, it requires more, not less, professional intervention. Rosenzweig, Roy, and David Thelen. The Presence of the Past: Popular Uses of History in American Life. 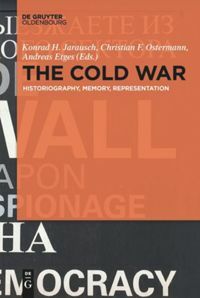 New York: Columbia University Press, 1998. Survey Monkey. “Chinese and the Pasts.” https://www.surveymonkey.com/r/ChinesePasts (last accessed on 10 November 2017). 1. Activities Related to the Past; 2. Trustworthiness of Sources of Information about the Past; 3. How Connected to the Past People Feel on Certain Occasions; 4. The Importance of Various Pasts; 5. Importance of Places or Sites of Public History; 6. Biographical Data. For the full survey, see https://www.surveymonkey.com/r/ChinesePasts (last accessed on 10 November 2017). Zunehmend kommt es zu öffentlichen Debatten über die Bedeutung der Vergangenheit in China. 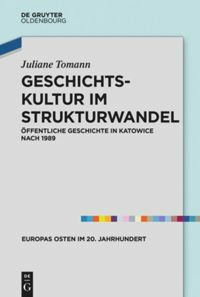 Diskutiert werden die Rolle der Geschichte in Nationalkultur und Gesellschaft, die Rolle von HistorikerInnen und des Geschichtsunterrichts und Formen der Teilnahme an Geschichte. Dies wirft weitere Fragen auf: Wie soll man die Vergangenheit neu interpretieren? Wem gehört die Vergangenheit? Wie wird Geschichte im öffentlichen Raum produziert, verbreitet, konsumiert und geteilt? Und wie kann China im digitalen Zeitalter eine geschichtsorientierte Nationalkultur schaffen? Das Projekt “Chinese and the Pasts” ist entstanden, um Chinas Public-History-Landschaft besser kartieren zu können. Es ist in einen sozialen Kontext eingebettet, der durch einen noch nie dagewesenen Informationsfluss, kreativen Wissensaustausch und einen wachsenden Konsum von Geschichte geprägt wird. Das Kernstück des Projekts besteht aus sechs Teilen und bezieht sich auf eine Serie von nationalen und regionalen Umfragen, die in den USA, einigen europäischen Ländern, Australien und Kanada durchgeführt wurden. Am häufigsten wurden hier die Herstellung von Fotos und Videos (inklusive dem Betrachten von Familienfotos), das Ansehen von Filmen und Fernsehprogrammen (darunter auch Dokumentationen) sowie die Teilnahme an Familientreffen und anderen Versammlungen genannt. Das war wenig überraschend, denn Massenmedien wie Filme, Videos und Fernsehprogramme sind wichtiger Bestandteil des chinesischen Alltags. Das Ergebnis zeigt, wie sich kollektive und persönliche Erinnerungen oft überschneiden. So weist die aktive Auseinandersetzung der TeilnehmerInnen mit der Vergangenheit auf die Verknüpfung persönlicher und familiärer Erinnerungen mit nostalgisch-historischem Konsum hin. Aktivitäten im öffentlichen Raum, wie etwa die Teilnahme an öffentlichen Gedenkfeiern und Jubiläen oder das Engagement für geschichtskulturelle Organisationen, stellten sich als zweitrangig heraus. Archive, Museen, historische Stätten und Monumente sowie Augenzeugen- und persönliche Berichte wurden als die verlässlichsten Quellen der Geschichte gewertet. Die meisten Befragten stuften Artefakte als zuverlässiger ein als menschliche Interpretationen. Objekte wurden je nach Motiven und Hintergrundwissen anders wahrgenommen. Familiengeschichten wurden aber aus einem anderen Grund relativ hoch (61,08%) bewertet, denn die persönliche Nähe schafft naturgemäß Vertrauenswürdigkeit. Hier verwechselten die Befragten, wie auch bei persönlichen Berichten, “Motiv” mit “Ergebnis”. Die Tatsache, dass man nicht vorhat zu lügen, bedeutet nicht, dass man nicht lügt bzw. dass seine Aussagen unbedingt vertrauenswürdig sind. Wenig überraschend wurden PolitikerInnen und Medienpersönlichkeiten als am wenigsten verlässlich eingestuft. Der Besuch von historischen Museen, Orten, Städten, Bezirken oder Monumenten wurde am besten bewertet. Die Mehrheit der Befragten hielt den Besuch solcher Stätten für ein direktes historisch-authentisches Erlebnis, das ein starkes Zugehörigkeitsgefühl und den Eindruck, selbst dabei gewesen zu sein, erweckt. Dadurch und durch das Miterleben historischer Ereignisse im Rahmen von Reenactment konnten sich die Menschen vermehrt mit historischen Ereignissen identifizieren. Die Vergangenheit Chinas und die der eigenen Familie wurden von den TeilnehmerInnen als sehr wichtig erachtet. Tatsächlich verbanden die meisten Befragten die Nationalgeschichte mit der Familiengeschichte, denn sie sahen die Nation als Einheit, die die individuelle Familie zwangsläufig mit einschließt. Ihre Aussagen zeugen von Patriotismus, Ortsverbundenheit und Stolz. Diese im Nationalbewusstsein fest verankerte Emotionalität ist wenig überraschend, denn die ChinesInnen sind stolz auf ihren frühhistorischen Ursprung und die oft zitierte “5000-jährige Geschichte”. Das zeigt, dass die chinesische Regierung den jungen ChinesInnen erfolgreich ihre ideologischen Werte eingeimpft hat. Die Frage “Haben Sie in den letzten zwölf Monaten einen Ort oder Platz der Public History besucht?” wurde von den meisten TeilnehmerInnen bejaht. Um Genaueres herauszufinden, wurden zudem sieben allgemeine und zwei ortsspezifische Fragen über die Eindrücke und Einstellungen der Menschen zu historischen Schlüsselorten in der Stadt Chongqing gestellt. Dieser Abschnitt des Projekts arbeitete vor allem mit Oral-History-Interviews. Obwohl dies sehr arbeitsintensiv war, erwies es sich als der lohnendste Projektabschnitt. Trotz der noch weitgehend vorhandenen Zensur konsumiert die Öffentlichkeit aktiv die Vergangenheit. Öffentliches Interesse an Vergangenheit und Geschichtskultur ist weit verbreitet – vor allem wenn diese aus erster Hand, durch direkte Erfahrungen oder im familiären Umfeld erlebt werden können. In der sich ausweitenden Öffentlichkeit kommt die Geschichte an die Oberfläche und wird zu einem Ort, an dem sich Erinnerung, Tradition und Identität vermischen und an dem die Vergangenheit mit der Gegenwart koexistiert. Diese Entwicklung stellt die hierarchische Struktur des Wissens, die lange für selbstverständlich erachtet wurde, vermehrt in Frage. Es gibt zahlreiche Varianten, wie im heutigen China Public History geschaffen wird. Erstens wird durch die materielle Kultur vermehrt das Interesse der Öffentlichkeit an Geschichte geweckt. Orte und Stätten der Public History werden zu Lernobjekten und wirken sich auf das historische Bewusstsein der Menschen aus. Zweitens gibt es einen starken Trend hin zur persönlichen, familiären und lokalen Geschichte. Die Familie ist eine hochgeschätzte Institution, die Geschichte schreibt und kreiert und somit das persönliche historische Bewusstsein stark beeinflusst. Drittens zeigt die Öffentlichkeit Respekt vor institutioneller und professioneller Autorität. Public History bildet keinen Widerspruch zur Geschichtswissenschaft, sondern verlangt mehr – nicht weniger – professionelle Intervention. Seit jeher gelten Schulen in China als öffentliche Institutionen, die historisches Wissen vermitteln und verbreiten. Dies lässt sich auf ihren Ruf als Ort, an dem das historische Bewusstsein von Menschen geformt und die bürgerliche Identität verstärkt wird, zurückführen. Die Regierung hat mit großem Aufwand versucht, ein Gefühl von Kontinuität und Sicherheit in der Gesellschaft mit der “5000-jährigen Geschichte” zu schaffen. Diese Tradition ist auf verschiedene Arten konstituiert und institutionalisiert worden. Die Vergangenheit wird so kontinuierlich neu interpretiert und geschrieben, um die Zukunft mitzugestalten. Befunde aus dem Projekt “Chinese and the Pasts” weisen jedoch auf Missstände im schulischen Geschichtsunterricht hin, der das Auswendiglernen eines festgeschriebenen Faktenkanons betont und von den SchülerInnen häufig als “langweilig und irrelevant” bezeichnet wird. Rosenzweig, Roy, und David Thelen. The Presence of the Past: Popular Uses of History in American Life. New York: Columbia University Press, 1998. Survey Monkey. “Chinese and the Pasts.” https://www.surveymonkey.com/r/ChinesePasts (letzter Zugriff am 10.11.2017). Um mehr über das Projekt “Chinese and the Pasts” zu erfahren, siehe: Na Li, “Chinese and the Pasts: Exploring Historical Consciousness of Ordinary Chinese – Initial Findings from Chongqing,” in Contemplating Historical Consciousness: Notes from the Field, Hrsg. Anna Clark und Carla Peck (New York: Berghahn Books, 2018), erscheint in Kürze. 1. Aktivitäten in Verbindung zur Vergangenheit; 2. Vertrauenswürdigkeit von Quellen und Informationen über die Vergangenheit; 3. Inwieweit sich Menschen zu bestimmten Anlässen der Vergangenheit verbunden fühlen; 4. Die Bedeutung verschiedener Vergangenheiten; 5. Die Bedeutung von Orten und Plätzen der Public History; 6. Biographische Daten. Für die vollständige Umfrage, siehe: https://www.surveymonkey.com/r/ChinesePasts (letzter Zugriff am 10.11.2017). Roy Rosenzweig und David Thelen, The Presence of the Past: Popular Uses of History in American Life (New York: Columbia University Press, 1998); Magne Angvik und Bodo von Borries, Youth and History: A Comparative European Survey on Historical Consciousness and Political Attitudes among Adolescents (Hamburg: Körber-Stiftung, 1997); Paul Ashton und Paula Hamilton, History at the Crossroads: Australians and the Past (Ultimo, NSW: Halstead Press, 2010); Margaret Conrad, Gerald Friesen, Jocelyn Létourneau, D. A. Muise, Peter C. Seixas, David A. Northrup, Kadriye Ercikan, und Pasts Collective (Projekt), Canadians and Their Pasts (Toronto: University of Toronto Press, 2013). Als Hauptmethode wendete das Projekt Interviewumfragen an. So arbeitete eine Gruppe von InterviewerInnen mit ähnlichem Hintergrundwissen (StudentInnen auf Hochschulniveau) und mit der gleichen Schulung im Interviewwesen in einer bestimmten geographischen Region – in diesem Fall an bedeutenden historischen Stätten in der Stadt Chongqing. 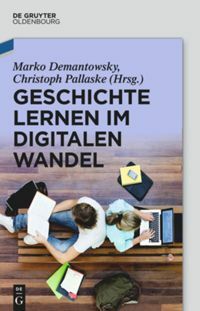 Die Schulung beinhaltete das Lernen der Projektziele, das Bekanntmachen mit den Fragebögen, das Üben von Interviews in der Theorie und Praxis und die Teilnahme an Seminaren über Oral-History-Interviews. Diese Seminare beinhalteten das Arbeiten mit der Recherche zu spezifischen Stätten, um die eine oder andere erweiterte Frage hinzuzufügen, mit Interview-Fähigkeiten (Prozesse, nützliche Ratschläge und Prinzipien), mit Aufnahmetechniken, mit ethischen und rechtlichen Anliegen, usw. Die Textanalyse sorgt für zahlreiche wertvolle Wahrnehmungen mit verblüffenden Einblicken und sie verweist auf authentische Bemühungen, kulturell bedeutende Stätten dem menschlichen Standard anzupassen. Die Rückmeldungen, die wir erfassten, zeigen ein kritisches Verständnis dafür, wie an einem bestimmten Ort die Geschichte interpretiert, gezeigt und verbreitet werden kann. Li, Na: Muster der Schaffung chinesischer Public History (2). In: Public History Weekly 5 (2017) 39, DOI:dx.doi.org/10.1515/phw-2017-10447. Fantastic blog series addressing the issue of public history taking place within the PRC. As an American teaching at an international school in Shenzhen, I am grappling with the notion of history museums located in a relatively “new” city. With no understanding of Chinese I am having to rely on translations with the help of friends. Your blog has been a great help to me in thinking about history museums found here in Shenzhen.